I love k-dramas and I love Entourage so imagine my reaction upon hearing that a k-drama remake is in the works, umm happy dance all around when no one was watching. 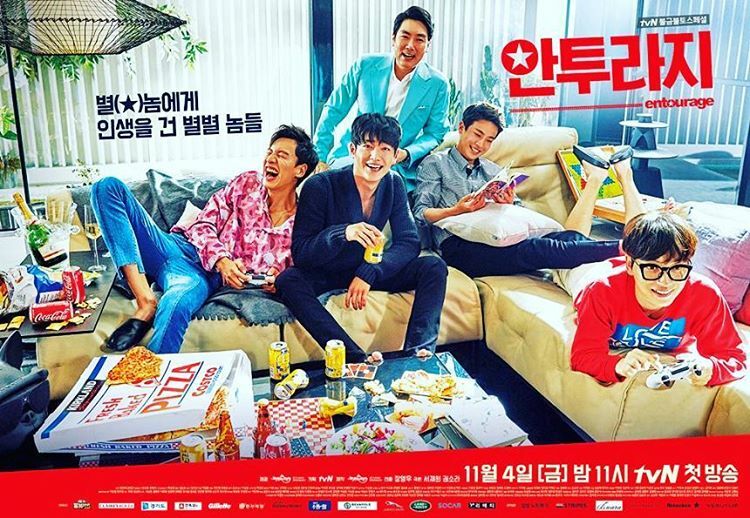 Apparently, I am not the only one because Entourage is gearing up for a simultaneous broadcast in Korea, China, Japan and many other countries looking to secure rights to the production. 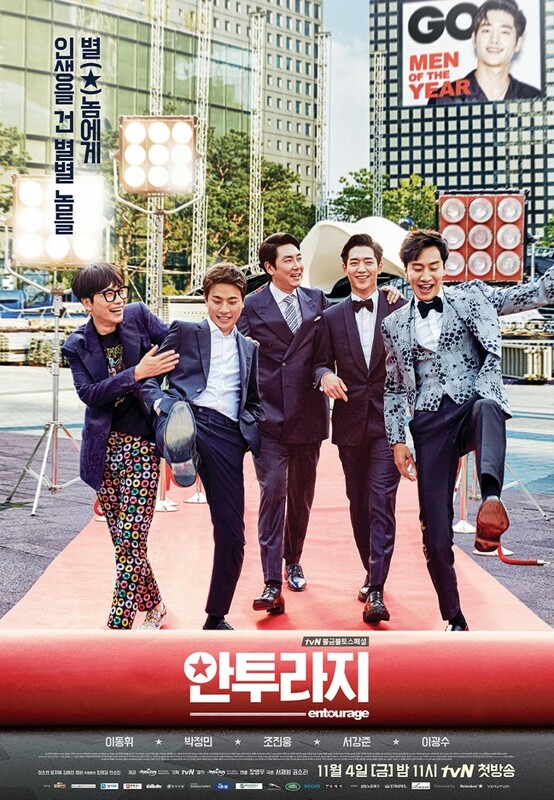 Entourage 안투라지 airs Nov 4 on cable network tvN, which has been solidifying its reputation as a breeding ground for brilliant films that push the limits where no other network can, kind of like how Conan O'Brian ended up on TBS actually. 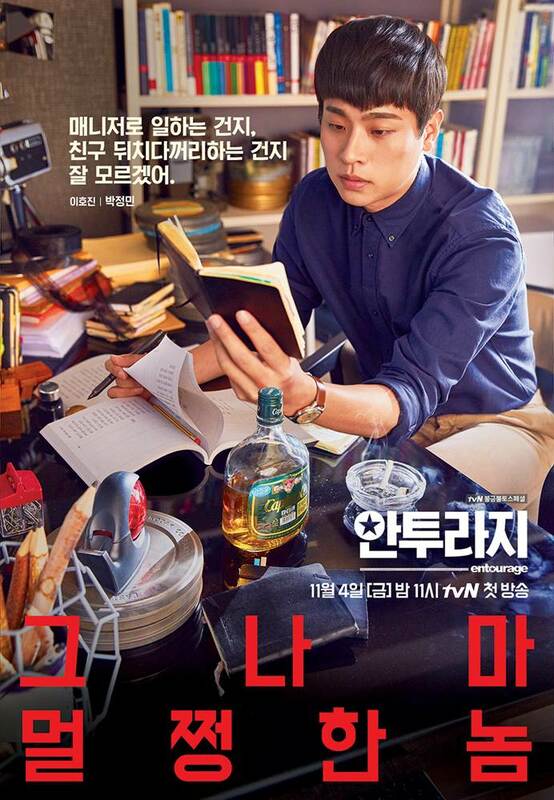 It stars Seo Kang Joon, Jo Jin Woong, Park Jung Min, Lee Kwang Soo and Lee Dong Hwi and you can probably tell which one is Ari Gold, Vincent Chase, E, Drama and Turtle by their looks alone. 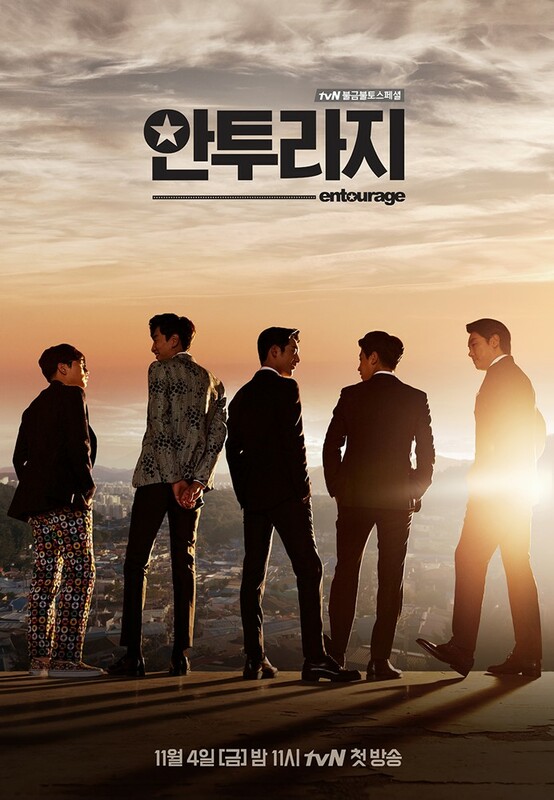 For those who have never heard of Entourage, it is a satire on the entertainment industry brought to life through a story around an A-list actor, his homies and his foul-mouthed manager. 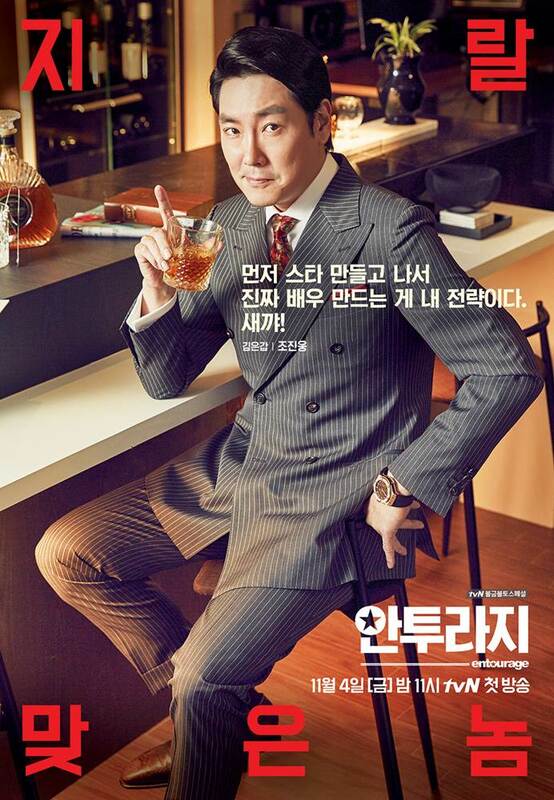 If it is anything like the HBO series, then expect cameos from the brightest stars in k-ent, lots of it.